3 secrets to make your airport experience less stressful - The Telegraph. 10 reasons why Munich Airport is the best in Europe - The Telegraph. 14 ways you're being ripped off at the airport - Telegraph. 16 new airports & terminals we can't wait to fly into - CNN travel. 20 years on: Remembering the glory days of Hong Kong's old Kai Tak Airport - CNN travel. 23 things all men do at airports - The Telegraph. A sneak peek at Beijing's new airport - CNN travel. ACI | AIRPORTS COUNCIL INTERNATIONAL - "The Voice of the World's Airports." ACI has 575 members operating over 1633 airports in 179 countries and territories. AIRPORT GUIDES - detailed guides to almost 300 major airports around the world. Airport Hotels Go Glam - "Airport hotels don’t have to be purely functional and only places to sleep before or after a long flight. Increasingly, they can be fun and in some cases, even glamorous." Airport novel - represent a literary genre that is not so much defined by its plot or cast of stock characters, as much as it is by the social function it serves. An airport novel is typically a fairly long but fast-paced novel of intrigue or adventure that is stereotypically found in the reading fare offered by airport newsstands for travellers to read in the rounds of sitting and waiting that constitute air travel. Airport Survival Guide for Thanksgiving Travel - The New York Times. Airports, Designed for Everyone but the Passenger - The New York Times. Airports of the Future Have Arrived - "Two of the biggest airports in the world - Istanbul and Beijing - aim to make travel easier and faster for the passengers who use them." American Airlines is using a CT scanner to screen luggage at New York’s JFK airport - The Verge. At LAX's new private terminal, the rich are pampered while normal people suffer - The New York Times. ATRS | AIR TRANSPORT RESEARCH SOCIETY - annual global airport benchmarking reports, excellence awards. Can you name the airport from its three-letter code? - The Telegraph. Dirtiest place in airport revealed - "Airport security trays carry more germs than toilets, study reveals." Everything you need to know about the world's greatest airport - The Telegraph. globalair.com - "Aviation & Aircraft Resource." Aircraft for sale. Aviation directory. Airport resource. How Asia's airports are changing the way we travel - CNN travel. How to Stay Safe at the Airport - The New York Times. IATA | International Air Transport Association airport code - three-letter code designating many airports around the world. ICAO | International Civil Aviation Organization airport code - four-letter alphanumeric code designating each airport around the world. IFLY.COM - "The Web's Best Guide to Airports." Airport guides, flight tracking & status, airport parking, maps & more. Inside China's mega-airport - "What does the world's largest single-building airport terminal look like?" Is this one of the world's most beautiful airports? - "India's 100th airport, inaugurated by Prime Minister Narendra Modi in the northern-eastern state of Sikkim on Monday, is arguably one of the world's most beautiful." Kim Jong Un Inspects Terminal of Pyongyang International Airport - Rodung Sinmun. LIST OF WORLD'S AIRPORTS - Wikipedia. Los Angeles airport to build special terminal just for celebrities - The Guardian. Plastic trays at security are the worst virus carriers in the airport - even worse than the TOILET - "THERE’S one place to avoid at the airport if you want to stop yourself getting sick - the plastic trays at security that stuff is piled into before it is scanned. They are the worst culprits for carrying viruses such as the common cold and flu." SKYTRAX - the world's largest airline and airport review site - over 625 airlines and 660 airports. Passenger trip reports, flight reviews, airline seat and lounge reviews. Check airline standards in the Official Airline Star Ranking guide. THE MOST DELAYED AIRPORTS - Forbes Magazine. The strangest items confiscated at airports - The Telegraph. The world's most convenient airports - The Telegraph. This Is the Best Airport Food, According to Pilots - TIME Magazine. This is what the world's greatest airport looks like - The Telegraph. Turkey pushes ahead with plans for ‘world’s biggest airport’ despite arrests of workers protesting ‘prison’ conditions - The Independent. Using Apps to Ease the Headache of Navigating Airports - The New York Times. why Singapore’s airport is the best on the planet - "Avenues of trees, live theatre and a spa." WORLD AIRPORT AWARDS - Skytrax: the passengers' choice. World's 10 most scenic airport landings for 2019 - CNN travel. World's best airport opens $1.25B 'Jewel' - "Inside Changi Airport Singapore's new 'Jewel,' home to world's tallest indoor waterfall." world's best-connected airports for 2018 - CNN travel. world's busiest airport 2019 - CNN travel. World's busiest airport revealed - CNN travel. world's busiest airport? You'll never guess - The Telegraph. world's busiest airports - Dubai overtakes Heathrow - The Telegraph. World's busiest airports by international passenger traffic - Wikipedia. world's most beautiful airport control towers - The Telegraph. world's most beautiful airport terminals - The Telegraph. world's most beautiful airport terminals – in pictures - The Guardian. world's most convenient airports - The Telegraph. world's most inconvenient airports - The Telegraph. world's most scenic airport approaches - 2016 - The Telegraph. world's scariest airport landings & runways - The Telegraph. Abu Dhabi International Airport | AUH | OMAA - the airport in Abu Dhabi, the capital of the United Arab Emirates. The airport is one of the fastest growing airports in the world in terms of passengers, new airline operators, and infrastructural development. Al Maktoum International Airport | DWC | OMDW - major airport in Jebel Ali, Dubai, United Arab Emirates that opened on 27 June 2010. It will be the main part of Dubai World Central, a planned residential, commercial and logistics complex scheme. World Central is the world's first truly integrated logistics platform, with most transport modes, logistics and value added services, including manufacturing and assembly, in a single bonded and Free Zone environment. Athens International Airport | ATH | LGAV - the airport has become increasingly popular as a gateway to Asia and the Middle East. Amsterdam Airport Schiphol | AMS | EHAM - the world’s 3rd largest by international passenger traffic as well as Europe’s 5th and the world’s 14th busiest by overall passenger volume. BANGKOK INTERNATIONAL AIRPORT Suvarnabhumi Airport | BKK | VTBS - international airport serving Bangkok, Thailand. Beijing Capital International Airport | PEK | ZBAA - the main international airport of Beijing, China. Terminal 3 became fully operational on March 26, 2008 and is currently the second largest airport passenger terminal building of the world. Berlin Tegel Airport | TXL | EDDT - main international airport in Berlin, Germany. Brussels Airport | BRU | EBBR - international airport located in Zaventem, northeast of Brussels, Belgium. BUENOS AIRES Ministro Pistarini International Airport | EZE | SAEZ - located 22 km (14 mi) south-southwest of Buenos Aires or Capital Federal, the capital of Argentina. Cairo International Airport | CAI | HECA - the busiest airport in Egypt. Changi Airport Singapore | SIN | WSSS - a major aviation hub in Asia, particularly in the Southeast Asian region, and is the main airport in Singapore. Charles de Gaulle Airport | CDG | LFPG - also known as Roissy Airport (or just Roissy in French), in the Paris area, is one of the world's principal aviation centres, as well as France's main airport. Copenhagen Airport | CPH | EKCH - the largest airport in the Nordic countries. Dubai International Airport | DXB | OMDB - "Connecting the World." 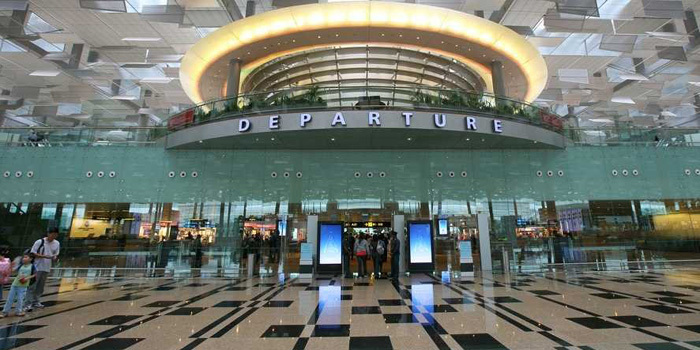 International airport serving Dubai, the largest city of the United Arab Emirates. It is a major aviation hub in the Middle East, and is the main airport of Dubai and the world's busiest airport by international passenger traffic. DUBAI WORLD CENTRAL | Al Maktoum International Airport | DWC | OMDW - major airport in Jebel Ali, Dubai, United Arab Emirates that opened on 27 June 2010. It will be the main part of Dubai World Central, a planned residential, commercial and logistics complex scheme. World Central is the world's first truly integrated logistics platform, with most transport modes, logistics and value added services, including manufacturing and assembly, in a single bonded and Free Zone environment. FRANKFURT AM MAIN AIRPORT | FRA | EDDF - known in German as Flughafen Frankfurt am Main or Rhein-Main-Flughafen is a major international airport located in Frankfurt am Main, Germany, 12 km (7.5 mi) southwest of the city centre. It is by far the busiest airport by passenger traffic in Germany, the third busiest in Europe and the ninth busiest worldwide in 2009. It serves the most international destinations in the world and is the busiest airport in Europe by cargo traffic. HARTSFIELD-JACKSON ATLANTA INTERNATIONAL AIRPORT | ATL | KATL - (Atlanta, GA, U.S.A.). World's busiest airport by passenger traffic, serving 90 million passengers per year. Hong Kong International Airport | HKG | VHHH - the main airport in Hong Kong. It is colloquially known as Chek Lap Kok Airport. Hyderabad Rajiv Gandhi International Airport | HYD | VOHS - international airport near Shamshabad, about 22 km (14 mi) from the city of Hyderabad, Andhra Pradesh, India. Ian Fleming International Airport | OCJ | MKBS - airport located in Boscobel, Saint Mary Parish, Jamaica, 10 km (6.2 mi) east of Ocho Rios, in northern Jamaica. The airport provides service to the United States and to other Caribbean islands. It is named for Ian Fleming, the creator of the James Bond novels, whose Goldeneye estate is located in St Mary parish. Incheon International Airport | ICN | RKSI - the largest airport in South Korea. Since 2005, it has been consecutively rated as the best airport in the world by the Airports Council International. JOHN F. KENNEDY INTERNATIONAL AIRPORT | JFK | KJFK - international airport located in Queens County, New York in southeastern New York City about 12 miles (19 km) from Lower Manhattan. It is the busiest international air passenger gateway to the United States. KING FAHD INTERNATIONAL AIRPORT | DMM | OEDF - (Dammam, Saudi-Arabia). The largest airport in the world in terms of land area (780 km2), thus making it larger than the nearby country of Bahrain. KUALA LUMPUR INTERNATIONAL AIRPORT | KUL | WMKK - (Kuala Lumpur, Malaysia). One of Southeast Asia's largest airports. It was ranked as the 13th busiest airport in the world by international passenger traffic, and is the 7th busiest international airport in Asia. Leonardo da Vinci-Fiumicino Airport | FCO | LIRF - also commonly known as Fiumicino Airport, is Italy's largest airport and the first international air gateway. LONDON CITY AIRPORT | LCY | EGLC - single-runway airport. It principally serves the financial district of London and is located on a former Docklands site, 6 NM (11 km; 6.9 mi) east of the City of London, opposite the London Regatta Centre, in the London Borough of Newham in east London. In 2011 London City was the fifth busiest airport in terms of passengers and aircraft movements serving the London area after Heathrow, Gatwick, Stansted and Luton and the 15th busiest in the UK. London Heathrow Airport | LHR | EGLL - the world's busiest airport in terms of international passenger traffic. It is the world's second busiest airport in total passenger traffic and the United Kingdom's largest and busiest airport. Los Angeles International Airport | LAX | KLAX - the primary airport serving Los Angeles, California, the second-most populated metropolitan area of the United States. It is often referred to by its IATA airport code LAX. Madrid-Barajas Airport | MAD | LEMD - the main international airport serving Madrid in Spain. Malpensa Airport | MXP | LIMC - Milan's largest airport. McCarran International Airport | LAS | KLAS - the principal commercial airport serving Las Vegas and Clark County, Nevada, United States. Mexico City International Airport | MEX | MMMX - Mexico's and Latin America's busiest airport. MOSCOW Domodedovo International Airport | DME | UUDD - international airport located 22 km south of the centre of Moscow, Russia. It is one of the three major Moscow airports along with Sheremetyevo International Airport and Vnukovo Airport. Domodedovo is the largest airport in Russia in terms of passenger and cargo traffic. Narita International Airport | NRT | RJAA - handles the majority of international passenger traffic to and from Japan. 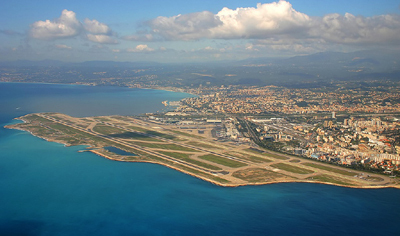 Nice CÔte d'Azur Airport | NCE | LFMN - the principal port of arrival for passengers to the Côte d'Azur. Located 3.2 NM (5.9 km; 3.7 mi) southwest of Nice, in the Alpes-Maritimes départment of France. It is the third busiest airport in France and serves as a focus city for Air France and an operating base for easyJet. O'Hare International Airport | ORD | KORD - major airport located in the northwestern-most corner of Chicago, IL, U.S.A.
OR Tambo International Airport | JNB | FAJS - the primary airport for domestic and international travel to/from South Africa and is Africa's busiest airport. Palm Beach International Airport | PBI | KPBI - since 1936. Public airport three miles west of Palm Beach, Florida, in West Palm Beach, Florida, and serves Palm Beach County. The airport is operated by Palm Beach County Department of Airports. Road access to the airport is direct from I-95, Southern Boulevard, and Congress Avenue. The airport is bordered on the west by Military Trail. Rio de Janeiro-GaleÃo International Airport | GIG | SBGL - is Rio de Janeiro's major international airport. SAINT PETERSBURG Pulkovo Airport | LED | ULLI - international airport serving St. Petersburg, Russia. Shanghai Pudong International Airport | PVG | ZSPD - a major aviation hub in Asia, particularly in the East Asian region, and is the primary international airport serving Shanghai of the People's Republic of China. Shenzhen Bao'an International Airport | SZX | ZGSZ - located near Huangtian and Fuyong villages in Bao'an District, Shenzhen, Guangdong, China. The airport also serves as an Asian-Pacific cargo hub for UPS Airlines. The airport is undergoing major expansion with a new terminal under construction. A second runway was also recently completed. It is one of the three largest airport hubs serving southern China, alongside Hong Kong International Airport and Guangzhou Baiyun International Airport. The airport also has direct ferry routes to Hong Kong International Airport, where passengers can transit without going through immigration and custom checks, akin to transit between two flights. Shenzhen Bao’an International Airport Terminal 3 is set to be the first airport terminal certified to the National Green Building Star Label in China. Singapore Changi Airport | SIN | WSSS - a major aviation hub in Asia, particularly in the Southeast Asian region, and is the main airport in Singapore. Sydney Airport | SYD | YSSY - the busiest airport in Australia. Tokyo International Airport | HND | RJTT - one of the two primary airports serving the Greater Tokyo Area. It is commonly known as Haneda Airport. Handles almost all domestic flights to and from Tokyo. Venice Marco Polo Airport | VCE | LIPZ - airport located on the Italian mainland north of Venice, Italy, in Tessera, a frazione of the commune of Venice nearest to Mestre. ZÜrich Airport | ZRH | LSZH - Switzerland's largest international flight gateway.